The winter wetsuit market is a KPI for any serious wetsuit company. Big or outsider. This is where and when the consumers are the most demanding regarding the conditions and the extreme usage of their gear. No place for unsatisfactory quality or useless gimmicks. This is also the time to launch the latest innovations and breakthrough technologies. You pass or crash. As said previously, the number of participants is growing but in different usages…. and consumption habits. This is where new brands catch their attention. That said, the wetsuits market rely on heritage and legitimacy that historical brands still dominate. We are offering 3 segmentations for our FW19 wetsuits line. 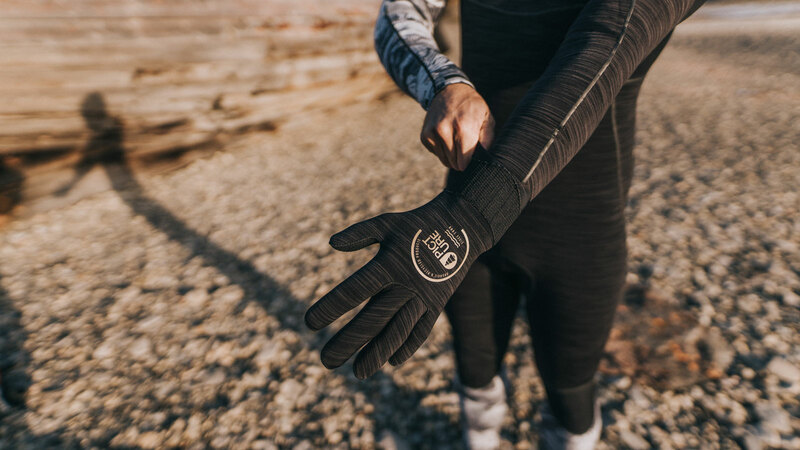 DOME SERIES: Engineered to offer maximum warmth and protection, it is loaded with our latest technologies (GBS, Power Seam, Dry Now, Hyper stretch knit, Fuse cut, Drain holes, Glideskin neck seal, Comfort zone). From 329,99 euros with the 4.3 to 389,99 euros with the 5.4. EQUATION SERIES: Comfort, stretch, and versatility is what our Equation Series is all about (GBS, WPF, Watertight seal, Fuse cut, Drain holes, Glideskin neck seal, Comfort zone). From 265 euros with the 3.2, to 299,99 euros with the 5.4. FLUID SERIES: Great value, incredible style (GBS, Standard lining, Mesh panels, Watertight seal, fuse cut, drain holes, Glideskin neck seal, Pullover watertight neck seal). From 239,99 euros with the 32 to 249,99 with the 4.3. As I explained before, each of the wetsuit series has their own technicities. Our FW range allows high performance in all cold water conditions with a real eco-conception available for every wallet. Since materials play a big role in a product’s lifecycle, we improved quality while reducing our environmental impact, opting for alternatives such as EicoPrene and recycled polyester. We made it a personal challenge to develop products that make a real difference in the fight against climate change. EicoPrene is made of 30% of recycled tyres & 70% of limestone. We kept the Picture design in our wetsuit range with original prints & brand codes as the fir tree which is our logo. Concerning the men’s line, we are working with soft colours & melange colours. Designers worked on a Lofoten print, inspired by Svalbard landscape; a camo print & a wave one. The women’s line is more colourful using pastel colours & prints as the abstract art (cotemporary collage / colour block) and marble. We chose to use the prints that we can find in the outerwear & access lines to propose to retailers cross merchandising possibilities.